It takes an average of ten months to sell a property in Spain. Often, ten months is too long to wait. It is possible to sell your Spanish property quickly, without having to make serious compromises when it comes to your listing price or the quality of agent you work with. Still, when time is of the essence, you’ll need to make sure you pay especially close attention to the details of listing a property for sale in Spain. In this post, you will learn ten of the most effective strategies for selling your property in Spain as quickly as possible. Read on to learn what it takes. The first step in putting your home on the market is making sure that you’ve made the right upgrades and repairs. If you need to sell your property quickly, then you likely won’t have the time -- or the interest -- in doing any kind of major renovation. If you’re selling your property for financial reasons, you’ll also need to keep a budget in mind when preparing your home for sale. Smaller but no less impactful upgrades like painting your cabinets, switching out your hardware, and even adding a bit of crown moulding won’t cost you much, but will still make a big difference. If you can only choose one area of the home to upgrade, make it your home’s front garden/exterior. The right landscaping can increase your home’s value by anywhere from 7-15%. Plus, a beautiful garden, the right flowers and planters, a cosy front porch, or even a newly-paved sidewalk leading up to the door will catch the attention of potential buyers. Once you’ve completed the more major upgrades, it’s time to start thinking about staging your home’s interior. Start by hiring a professional cleaning service to take care of any messes in your home. You may also want to hire professionals like a plumber or an electrician to fix any minor issues. Potential buyers, after all, won’t be impressed by things like flickering lights or dripping faucets. Additionally, you’ll need to take decluttering seriously. Having too much stuff in your room can make the space look smaller than it actually is, while having too many personal items, like family photos, can make it difficult for potential buyers to imagine themselves in your space. When it comes to staging, remember that lighting can make all the difference. Use as much natural light as possible to open up the space, and rely on indirect lighting from smaller table lamps to create a relaxed feeling in areas like living rooms and bedrooms. Especially if potential buyers are likely to use your Spanish property as a vacation home, you’ll need to make it a point to sell the neighbourhood just as much as the home itself. When you’re creating your listing, mention a few benefits of buying in your neighbourhood. Is it an up-and-coming area, meaning that the home will likely increase in value in a few years? Does it have lots of parks nearby, making it ideal for families with younger children? Or perhaps it’s close to the centre of the city, major transit hubs, or even a local university? Whatever is unique about your neighbourhood, make sure that you mention it in the listing. In today’s world, in order to sell your property quickly, you need to harness the power of digital marketing. Including your home in local Spanish online real estate listings, in classified ads, and on your agent’s website are all important steps. Of course, you need to speak with your agent about how they plan to craft compelling and engaging descriptions that will attract the right kind of buyers. Talk about which features of the home you’d like to highlight in the descriptions of your property, and which ones are better explained in person. Remember that words will work to paint a picture of your house to buyers who are still on the fence about coming to take a tour. So, make sure you’re as descriptive -- and accurate -- as is possible. You’ve worked hard to stage your home and prepare it for sale. Don’t let all of your efforts go to waste by uploading low-quality photos that make the house look smaller and less spectacular than it truly is to a listing website. Instead, hire a professional photographer that will help you to show off your home in the best possible light. Remember that quality photos sell homes. So, you can trust Right Casa’s professional photographers to present your property in the best possible light. Real estate laws in Spain can be notoriously difficult for international buyers and sellers to understand. You’ll need to work with a lawyer to help you understand the tax laws, ensure that you’re drawing up the right contracts, and much more. The last thing you want to happen is for you to lose a sale, or have to pay hefty fines because you didn’t follow the law during the listing and selling process. When you’re on the hunt for the right real estate agent, we suggest that you look for a team with the right connections in the legal world. Even if you need to sell your property quickly, we know that you still want to get the best possible price for your property. Still, you’ll need to be realistic about how long you’re willing to wait for the perfect offer. You’ll also need to speak with an agent about the factors that go into determining the price of your property in Spain. The neighbourhood, the historical sales prices of the property, the current condition of your home, its size and amenities, and of course, the current real estate market in Spain will all influence what you’re able to get for your home. Above all, listen to your agent. They know what price the property will be the most likely to sell for. Especially if you’re not getting the kind of interest you expected. It’s likely because you’ve priced your property too high. We understand that, especially if your goal is to sell your home quickly, you can’t always choose the time of the year when you decide to list your property. However, if you have a bit more flexibility, we suggest waiting to list your home until the spring and summer months. If you’re looking to make the biggest possible profit on your home, Spanish agents say that the first two weeks in May is the best time to put your home on the market. When you’re trying to sell your Spanish property quickly, the truth is that you can’t always afford to turn down a potential showing. For the brief time that your home is on the market, you’ll need to be as flexible as possible when it comes to meeting with our agents interested buyers. While of course, open houses are an excellent way to show off your home to lots of people at the same time? Don’t overlook the importance of smaller or individual tours. Not only will these more intimate showings give potential buyers the time they need to truly explore the house, you and your agent will also be able to show off the best features in greater detail. You can also answer any questions at the moment, and explain more about the ways in which a buyer could make the home their own. This gets you one step closer to a closing. Of course, the most important step in selling your home quickly is to make sure that you’ve hired the best possible real estate agent to represent you. Look for an agent with experience in your specific market, as well as one who specializes in selling property quickly. Ensure that they speak multiple languages, that they can list your property on multiple international portals and that they have excellent reviews and testimonials from past clients. Additionally, ask them about the kinds of contacts that they have within the industry. You should also ask for testimonials from previous vendors to ensure that you’re in good hands. Can they connect you with a designer, a decorator, and even a legal professional who will help you to understand the law surrounding the sale of your property? Remember that your real estate agent is the biggest factor in whether or not you’re able to sell your home quickly and for the best possible price. Don’t settle for anything less than the best. We hope that this post has shown you that selling your Spanish property quickly isn’t impossible. Making the right upgrades, listing at the right time and for the right price, and ensuring that you’ve taken the necessary steps to put your property in front of the eyes of as many potential buyers as possible will all help you to speed up the selling process. Of course, few things matter as much as the agent you work with. We have many helpful services for all your property needs. 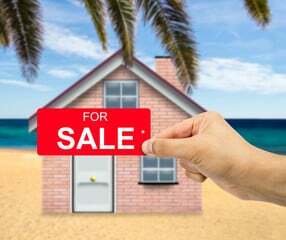 Whether you’re ready to buy or sell a home on the Costa del Sol, we want to help you to get the best possible outcome. Spend some time on our website to learn more about what we do, and get in touch with us when you’re ready to get started.